For the month of February, Sunwing is encouraging agents to “Learn, Earn and WIN” with Karisma Hotels & Resorts. Until Feb. 28, agents can earn 2X STAR Agent Reward Points that convert into cash on all new bookings to Karisma properties, for departures until Oct. 31. On top of their earnings, each time an agent makes a booking to a participating resort, they’ll be entered into a weekly contest for a chance to win an all-inclusive vacation for two to a Karisma resort included in this promotion. The promotion includes a wide selection of top-rated resorts including family friendly properties – Sensatori Azul Beach Resort Jamaica, Sensatori Resort Punta Cana, Azul Beach Resort Riviera Maya, Generations Riviera Maya, Nickelodeon Hotels and Resorts Punta Cana and Sensatori Azul Beach Resort Riviera Cancun which will be renamed to Azul Beach Resort Riviera Cancun on May 1. 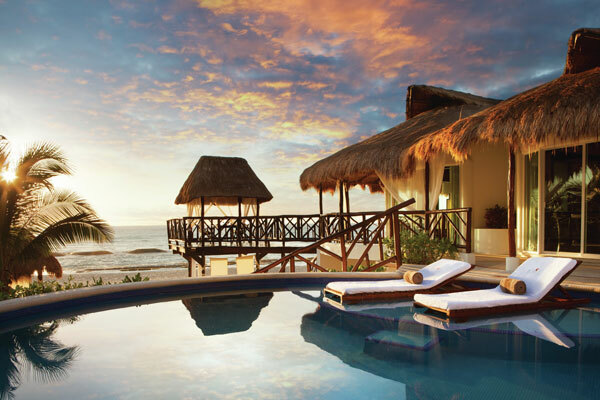 Adults-only properties included in the promotion are El Dorado Casitas Royale, El Dorado Maroma, El Dorado Royale, El Dorado Seaside Suites, Hidden Beach Au Natural Resort and the Palafitos Overwater Bungalows. In addition to incentives for agents, travellers can also benefit from savings of up to 40% when they book a Karisma Hotels & Resorts vacation package with their travel agent throughout the month of February. Customers will also receive resort credits totalling $500 that are redeemable for wine, massages, a romantic dinner and a room upgrade when they choose to stay at select Karisma resorts.